Your raffle contribution will help support programs that that serve 30,000+ meals per year, provide youth access to outdoor and music education. Buy early and often! Raffle tickets may be purchased on this site, by check or cash. If you prefer to pay by check, please note raffle on the memo line of your check and follow the instructions on the Heart & Soul page. We recommend that you email us at heartandsoulfund@yahoo.com to ensure you will be entered into the raffle. 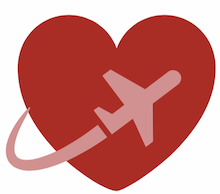 After you buy your tickets, please join us at "Fly into Spring at the Heart & Soul Fling" event March 21 at 730pm, with prize drawings, music performances and more. Please follow this link to RSVP and let us know you'd like to celebrate with us. Winners need not be present at the drawing. We will contact you by email to send you your prizes. 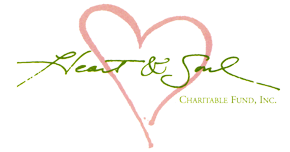 The Heart & Soul Charitable Fund is a 501 (c) (3) charitable organization which was founded in 1988 to support feeding programs and other community organizations in the New York Area. 30 years on, Heart & Soul continues to transform lives throughout the city and beyond. Win roundtrip JetBlue Tickets for two* and enjoy up to 3 Premium rooms for up to 9 Nights at St. James Club Antigua Beachfront Resort** Estimated value: $4500,Courtesy: Amy Legge and Christie Lind (JetBlue) and Elite Resorts. *JetBlue tickets may be used throughout its network. Blackout dates and taxes apply. **Mandatory all-Inclusive nightly supplement of $125 per person (based on double occupancy + tax that includes all dining, beverages, resort activities, service charges & gratuities). Additional peak season surcharge of $50 applies. A pair of tickets to see the Ferryman May 5 with a group of avid theater-goers. Crystal Lake Wine Gift Basket From 'Friday the 13th' star Adrienne King. Includes selection of six wines, Oregon Dark chocolate pairings and a signed copy of the original Friday the 13th movie from the surviving Final Girl. Get a sampler of Premium Pork products from Mosefund Farms - a long-time supporter of Heart and Soul. These amazing products are 100% Mangalitsa pork, wooly sheep, with healthy fat. Estimated value: $150. Courtesy Mosefund Farms. Win a pair of tickets to the Prom on Broadway. Dinner for 2 (up to $50 value) at Candle 79, a great restaurant that has been a long-term supporter of Monday Night Hospitality, providing vegan meals each week. Enjoy Musica Viva's May 19 concert Organum et Cantus. A night of great choral music featuring Duruflé's Requiem and Poulenc's Organ Concerto. Meet the performers. Pair of tickets for Mets home game. Tickets at field level (row 12 above the dugout) Exact date to be confirmed and arranged with the donor. Want to improve your chess game? An hour chess lesson with world-famous chess teacher Bruce Pandolfini, who coached several world leaders. Lesson can be done in-person in NY, phone or Skype. Good for one year, estimated value $300. Enjoy an assortment of Girl Scout cookies. With a dozen boxes, eat some, give some to your friends and make some new friends over cookies.